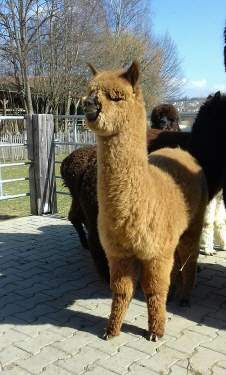 Wir bieten von Invictus auch exclusive Fremddeckungen an. 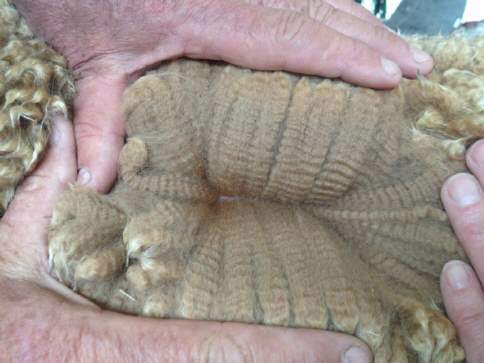 Supreme Champion at Sydney Royal Show 2008, Razor Sharp is an SRS assessed male and exhibits superior qualities both in fleece and conformation. 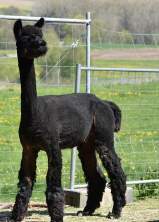 His sire, Shanbrooke Plantel Haynacho and dam, Shanbrooke Society Lass are both highly sort after genetic lines. 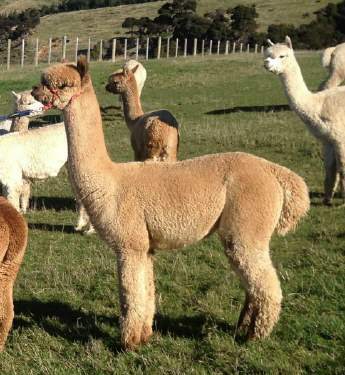 Razor Sharp progeny have a striking resemblance - excellent coverage with good looking heads. 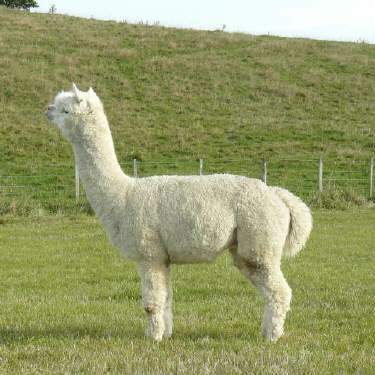 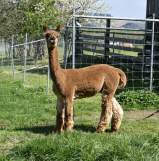 Traits consistently passed onto his cria are density, lustre, highly aligned staples displaying both high frequency with deep amplitude. 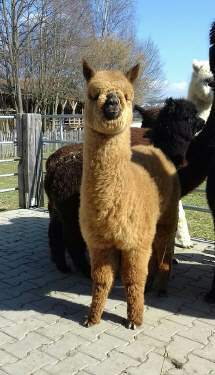 Colours produced range from white through to fawn. 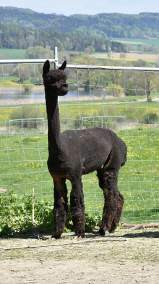 Invictus is a compact, well conformed , solid boned male with excellent fleece coverage. 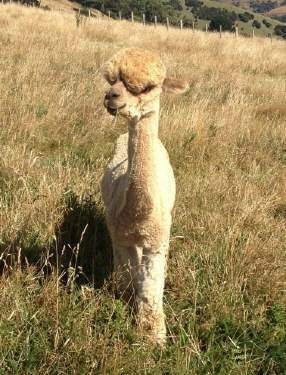 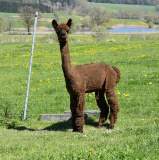 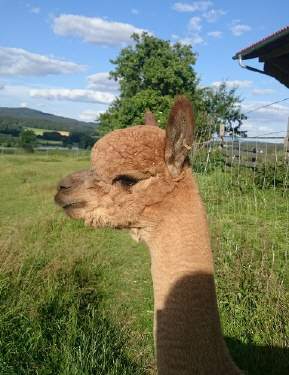 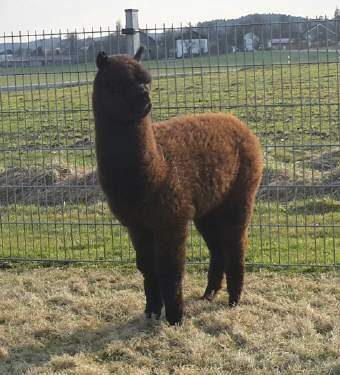 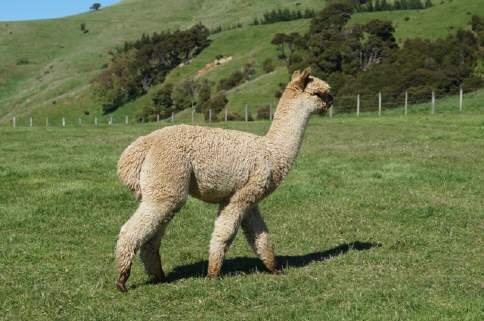 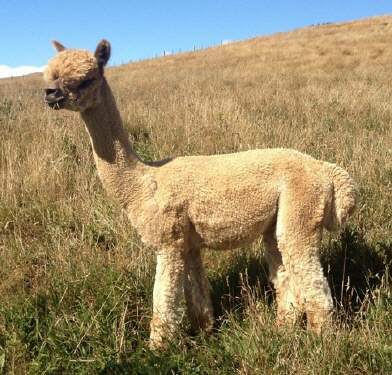 He has a highly aligned, soft handling fleece with well defined structure and style extending into his extremities. 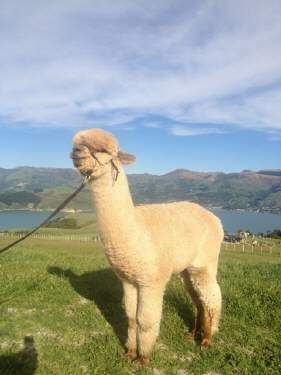 An outstanding quality is his docile nature. 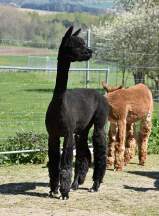 He carries robust genetics with colour from both sides.